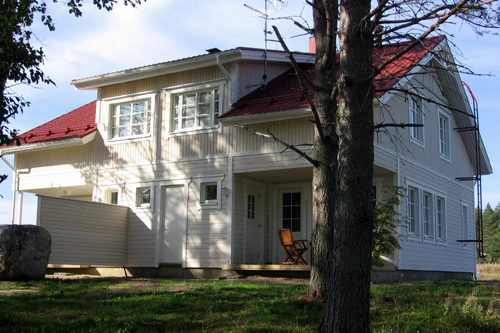 Mäntyranta is a semi-detached cottage completed in 2006. 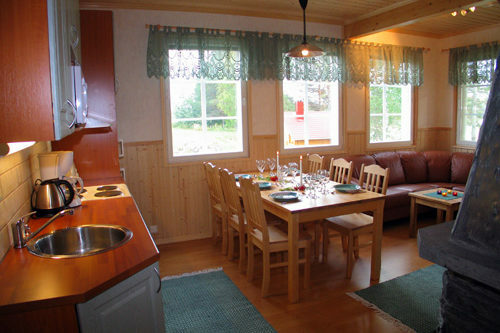 It has two identical vacation cottages of 96 square meters. 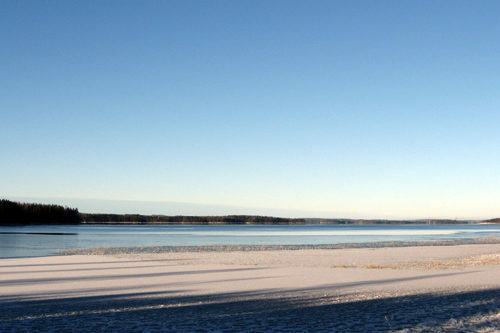 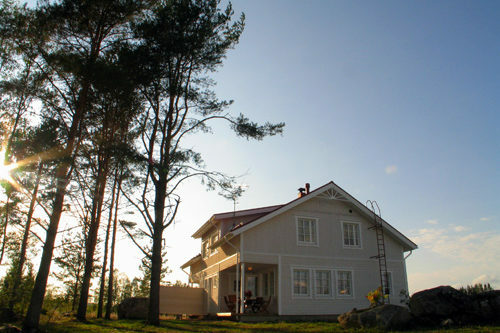 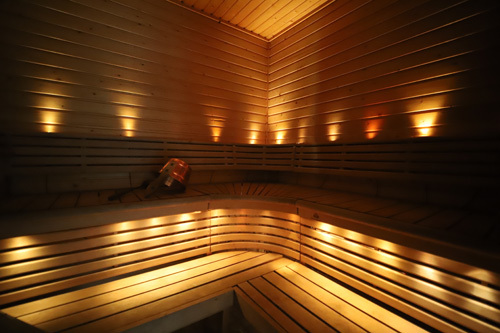 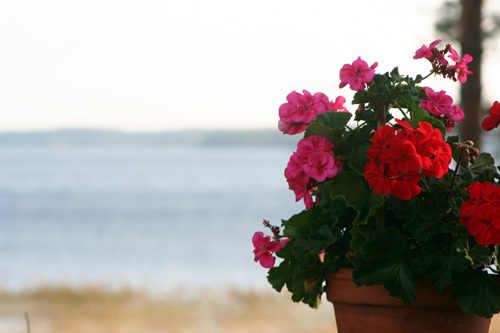 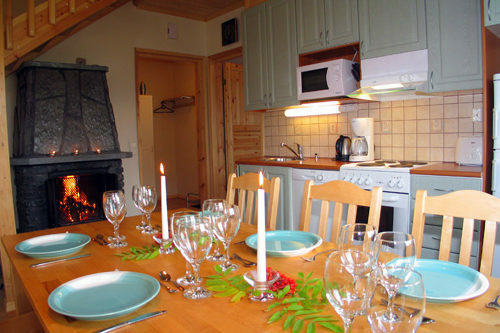 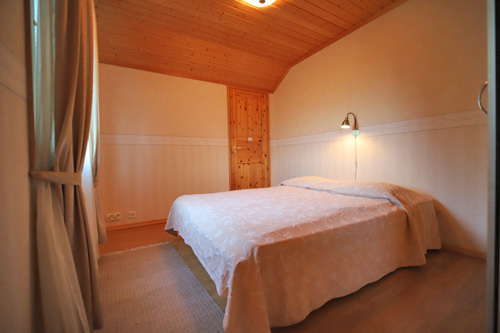 The cottages are built to a very high standard ranking 5 stars in the Finnish National cottage grading (Malo). 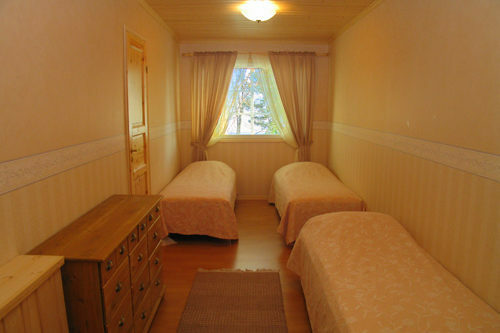 Each residence houses 7 persons and both have two extra beds. 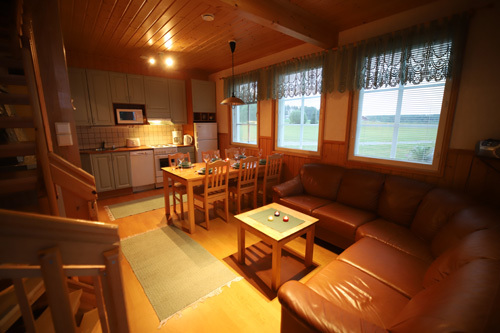 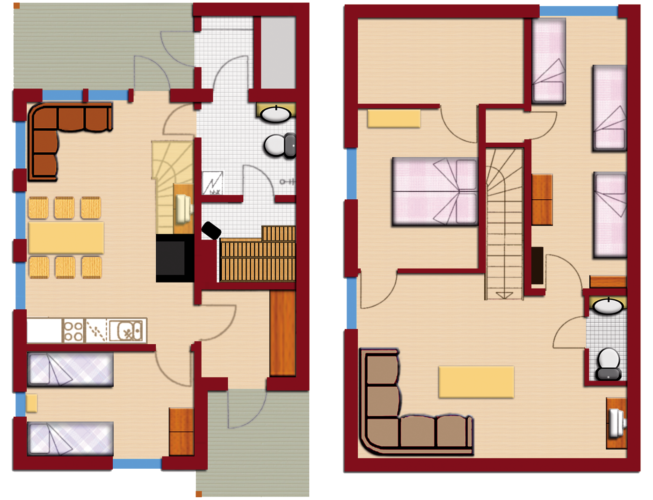 Downstairs you will find living/dining-room with a country kitchen, a bedroom, sauna, bathroom plus a veranda towards the beach. 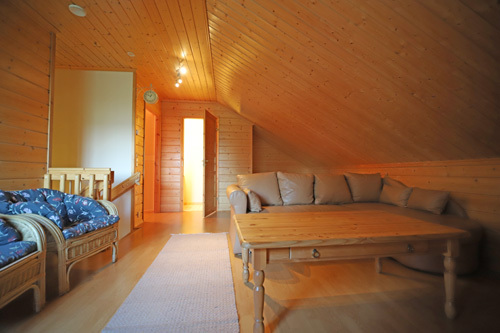 Upstairs there are two bedrooms and a loft. 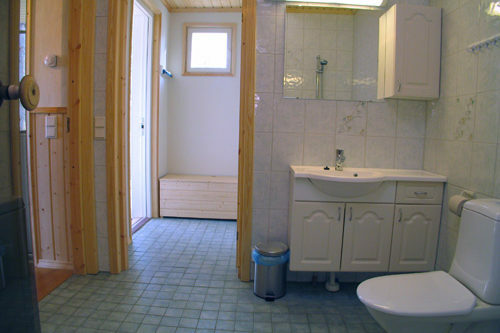 Both stories have a toilette. 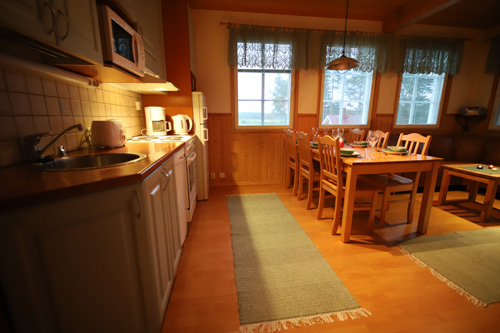 This semi-detached cottage offers an excellent spot for vacationing for one larger group or for two families. 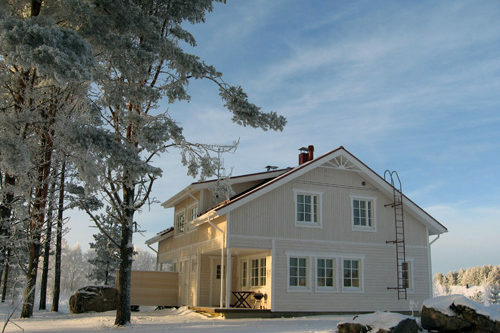 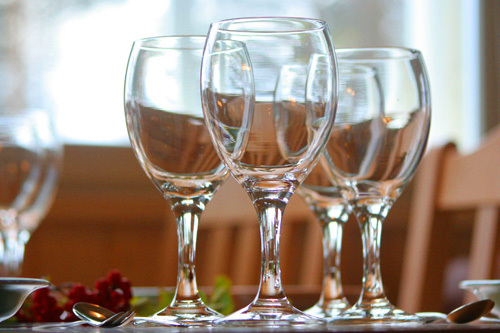 Because there is plenty of space, Mäntyranta is very well suited for family get-togethers and other meetings. 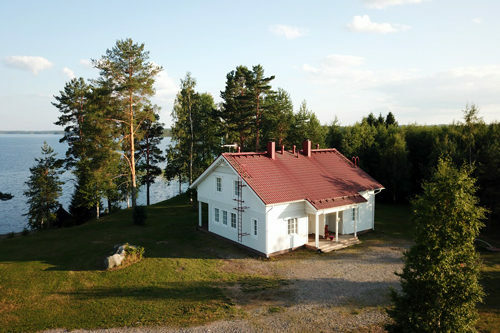 If you need only the other half of the cottage, you will not have to fear for loss of privacy. 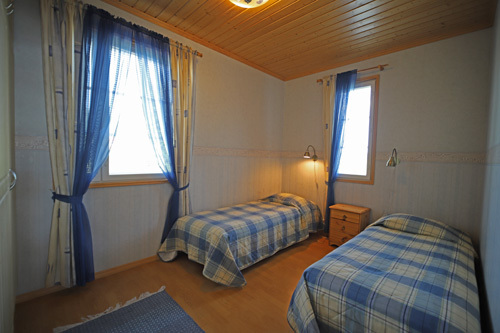 Both sides have two separate doors and very good sound insulation. 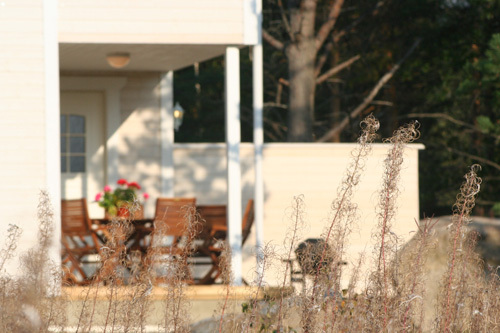 There is a backyard fence to add to the privacy of the outdoor areas. 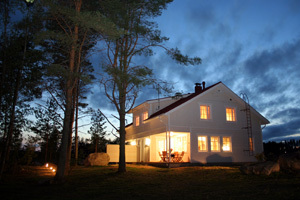 On each side of the cottage there is plenty of private yard.